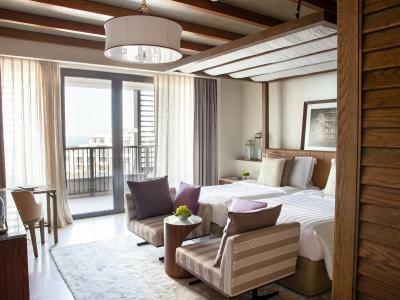 Lock in a great price for Jumeirah Al Naseem-Madinat Jumeirah – rated 9.1 by recent guests! This hotel has passed my expectation as of all Jumeirah's Hotels. The Room fancy designed, the very friendly staff, the beach side services, the food and open areas all exceeded my expectations. Everything , the decoration, the service , the location , the view !!!!! Just in one Word Espectacular !!!!!! The staff was really friendly, (housekeeping, the staff by the pool, the men serving coffee at the lobby, etc..) Also, the fact that there are really nice restaurants at the hotel was nice as well. 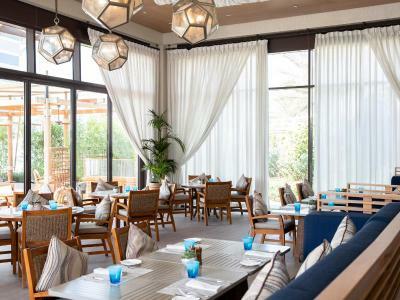 Not your typical hotel restaurants. The hotel is amazingly beautiful, staff is great, food awesome, room with a view to die for..
Room was very large, beautifully appointed. Electronic room controls were terrific Great cabanas available on beach. 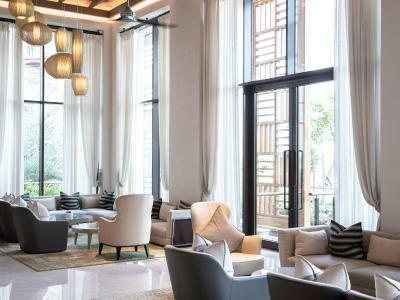 Jumeirah Al Naseem-Madinat Jumeirah This rating is a reflection of how the property compares to the industry standard when it comes to price, facilities and services available. It's based on a self-evaluation by the property. Use this rating to help choose your stay! 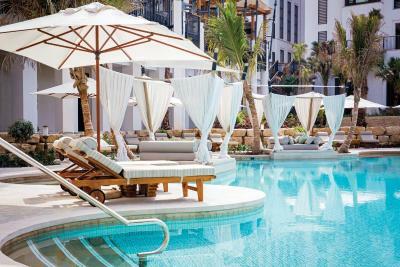 Offering a spa center and a private beach area, Jumeirah Al Naseem-Madinat Jumeirah is located in the Umm Suqeim district in Dubai. The resort has a hot tub and water sports facilities, and guests can enjoy a meal at the restaurant. Guests at the property can avail complimentary Wild Wadi Access. 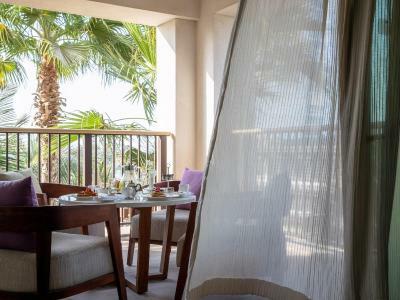 Every room at this resort is air conditioned and has a flat-screen TV with cable channels. Some units feature a seating area for your convenience. Certain units include views of the sea or garden. 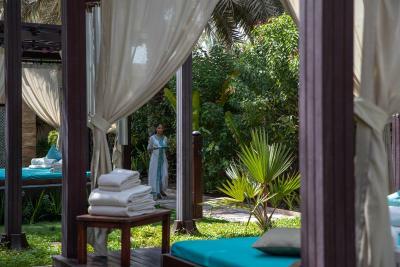 All rooms are equipped with a private bathroom fitted with a bath. For your comfort, you will find bathrobes, slippers and free toiletries. You will find free shuttle service and hairdresser's at the property. You can play tennis at this resort, and the area is popular for golfing. The resort also offers car hire. Mall of the Emirates is 1.5 mi from Jumeirah Al Naseem-Madinat Jumeirah, while Galleria Shopping Mall is 6.2 mi from the property. 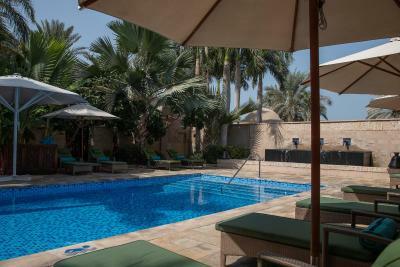 The nearest airport is Dubai International Airport, 13 mi from the property. 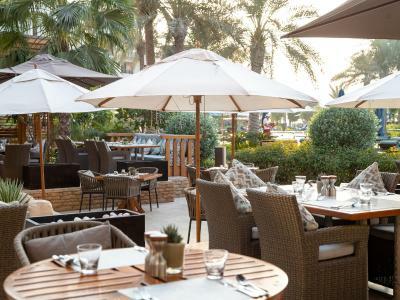 Umm Suqeim is a great choice for travelers interested in beaches, relaxation and food. 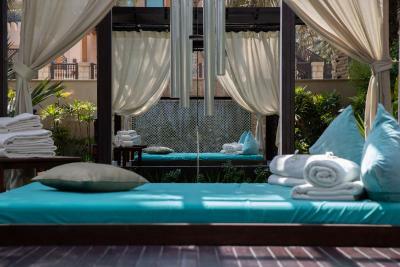 When would you like to stay at Jumeirah Al Naseem-Madinat Jumeirah? This double room features a balcony, sofa and tile/marble floor. 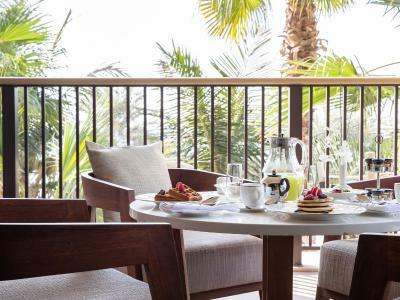 Guests staying in the Ocean Club Superiour Room can enjoy special services complimentary: Breakfast served in our buffet restaurants (Hanaaya, Arboretum, and Khaymat Al Bahar), Club Lounge or Private Dining. Complimentary return transfer for Dubai International Airport. 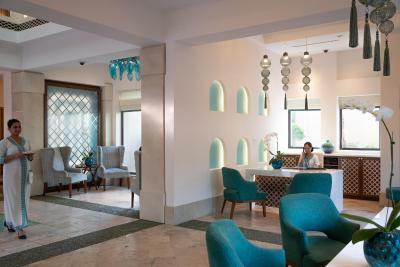 Exclusive use of our Club Lounge / Premium Leisure Lounge All-day tea, coffee, and soft drinks served in the lounge. Afternoon tea and light refreshments served from 15:00 to 16:30. Pre-dinner drinks and a selection of canapés offered from 19:00 to 21:00 for ‘Happy Hour’ in the lounge. For Club Executive guests, pressing service is available for up to one item during your stay, and in addition, private use of the boardroom for meetings of up to 6 people (subject to availability at the time of inquiry). Late check-out until 14:00 based on availability. This double room has a balcony, sofa and air conditioning. This double room features a balcony, seating area and view. This suite has a balcony, sea view and seating area. 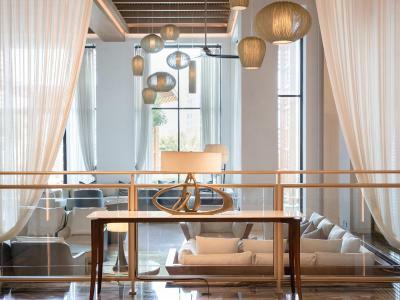 Guests staying in the Family Suite can enjoy special services complimentary: Breakfast served in our buffet restaurants (Hanaaya, Arboretum, and Khaymat Al Bahar), Club Lounge or Private Dining. Complimentary return transfer for Dubai International Airport. Exclusive use of our Club Lounge / Premium Leisure Lounge. All-day tea, coffee, and soft drinks served in the lounge. Afternoon tea and light refreshments served from 15:00 to 16:30. Pre-dinner drinks and a selection of canapés offered from 19:00 to 21:00 for ‘Happy Hour’ in the lounge. For Club Executive guests, pressing service is available for up to one item during your stay, and in addition, private use of the boardroom for meetings of up to 6 people (subject to availability at the time of inquiry). Late check-out until 14:00 based on availability. This suite has a balcony, bathrobe and air conditioning. 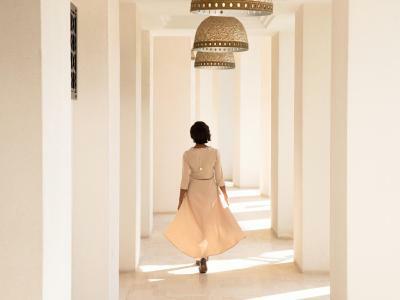 Guests staying in the Presidential Suite can enjoy special services complimentary: Breakfast served in our buffet restaurants (Hanaaya, Arboretum, and Khaymat Al Bahar), Club Lounge or Private Dining. Complimentary return transfer for Dubai International Airport Exclusive. Use of our Club Lounge / Premium Leisure Lounge. All-day tea, coffee, and soft drinks served in the lounge. Afternoon tea and light refreshments served from 15:00 to 16:30. Pre-dinner drinks and a selection of canapés offered from 19:00 to 21:00 for ‘Happy Hour’ in the lounge For Club Executive guests. Pressing service is available for up to one item during your stay, and in addition, private use of the boardroom for meetings of up to 6 people (subject to availability at the time of inquiry). Late check-out until 14:00 based on availability. 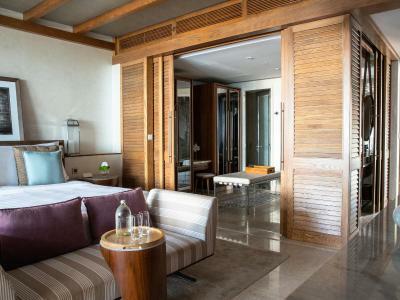 This suite features a balcony, mini-bar and sofa. This double room has a balcony, flat-screen TV and seating area. This double room features a balcony, view and seating area. This suite has a balcony, executive lounge access and dining area. This suite features a balcony, dining area and mini-bar. Area Info – This neighborhood is a great choice for travelers interested in beaches, relaxation and food – Check location Excellent location – show map Guests loved walking around the neighborhood! 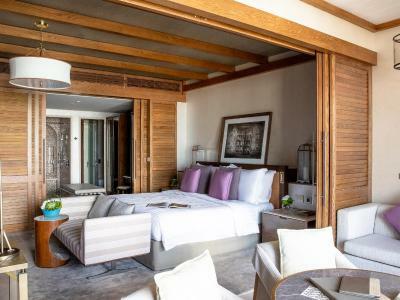 House Rules Jumeirah Al Naseem-Madinat Jumeirah takes special requests – add in the next step! 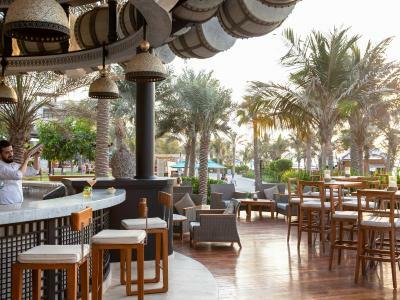 Jumeirah Al Naseem-Madinat Jumeirah accepts these cards and reserves the right to temporarily hold an amount prior to arrival. 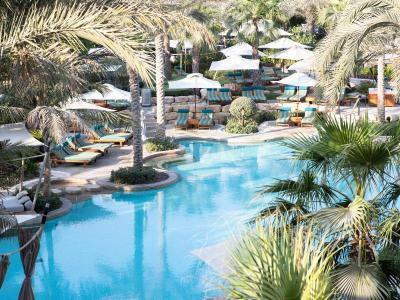 All guests including children staying at Jumeirah Al Naseem - Madinat Jumeirah are required to present original valid identification upon check-in, which may be either a passport or GCC/UAE National ID. All guests can enjoy complimentary access to Wild Wadi Waterpark™. For rates with breakfast the additional charges may apply for children, please check with the hotel. For Half Board rates, children will charged an extra amount of AED 150 plus applicable taxes per person per night directly at the hotel. Stays over 31 December are subject to mandatory New Year Gala Dinner which is NOT included in the room rate. Above prices include applicable taxes. The hotel keeps the right to amend New Year Dinner prices without prior notification. Some of the staff on the swiming pool have attitudes. I know its hot , but its not my fault to give me attitude. The location was perfect. All the staff were very kind with us. 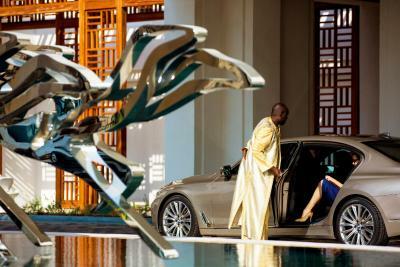 I recommend this hotel for people that are looking for high class service and best location in Dubaï. In the beginning of the stay the main pools were not really heated, kids didnt want to swim, so we had to pay extra for the Summersalt beach club, which is in the same hotel, where the pool was heated. You have to wake up earlier to go to breakfast and get a sunbed, otherwise by 10:30 all the sunbeds are taken. The hotel is nice and new. The standart room is a good size, with two kids we had an extra bed and a cot and it was still spacious. There were nice little touches, like every evening after we came back from dinner, there was something for the kids in the room, like a small toy or a candy or something else (the kids were looking forward to it). 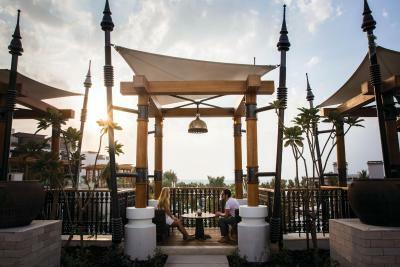 The territory is nice and there are lots of restaurants in Jumeirah complex. The Wadi Waterpark is literally at the door and free for Jumeirah guests. Hotel's facilities, location and atmosphere. Lovely vibe, especially outdoors (by the pool). Check in and check out lines were very long and wouldnt give us free late check out. Pai Thai restaurant, over priced for what it is, won't go back there again. we are frequent travellers to Dubai, this hotel was excellent. every member of staff made us feel very welcome. we were allocated a very nice room.